Ever wonder which mobile's brand and model is the best selling in the world. The handset has reportedly racked up "over 200 million sales" since it launched in 2003. This low-end candybar has put the 100 million iPods, 50 million RAZRs, 10 million Chocolates, and even the 115 million PlayStation 2 consoles to shame in terms of sheer units moved. And the winner goes to Nokia 1100. 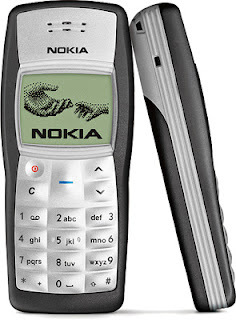 Of course, such a basic, uninspiring phone isn't for everyone, but considering the 200 million strong that owned one sometime during their life, I would say Nokia found a true winner. What's your source on these numbers, Alvin? its reported by reuter and you can refer to it at http://yahoo.reuters.com/news/articleinvesting.aspx?type=companyNews&storyid=79735+03-May-2007+RTRS&WTmodLoc=HybArt-L2-CompanyNews-3 . Thanks.